CX, 355 p., 17,5 x 24,5 cm. One of the classical concepts of justice is justice in exchange. Giving and taking however are lacking in equivalence if the justifiable expectation is reduced unilaterally. Augustine taught that absolution initially required atonement. This is where the treatise ›De restitutione‹ in Francisco de Vitoria’s Summa begins. 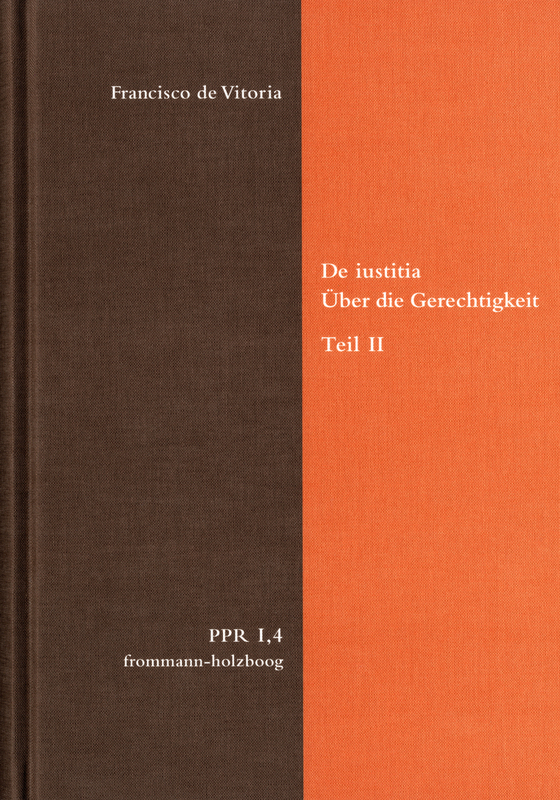 His influence is enormous: The fact that in the Early Modern Age a clearly defined legal institution for the protection of subjective rights resulted from the obligation to make restitution established by moral theology, a legal institution whose particular achievement is the single fundamental concept for liability for enrichment and for tort liability and the consistent implementation of the principle of retributive justice, can be attributed essentially to Vitoria’s dealing with these questions.